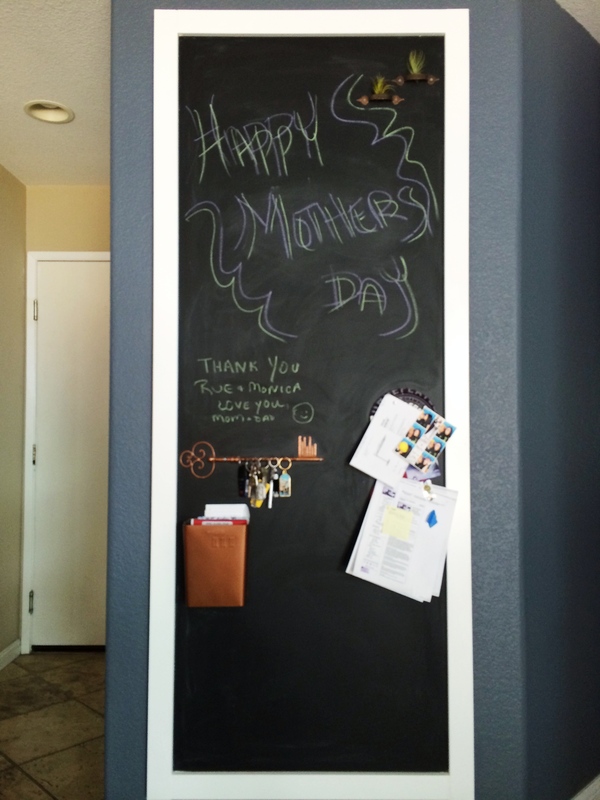 Been loving the new chalk board wall in the family area of our home. On Mother’s day I came down and was surprised to see my husband has also found his inner artist. Notice the newest residents of the chalk board in the upper right corner…. AIR PLANTS! 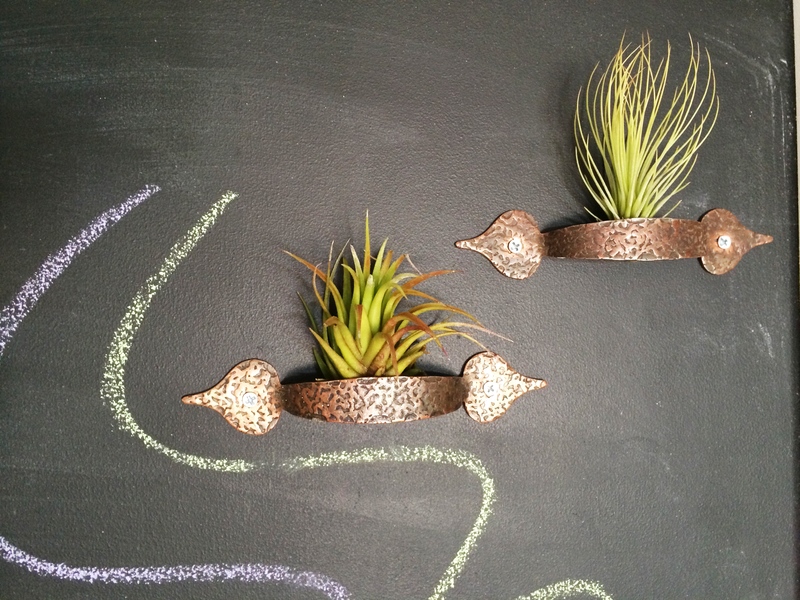 A perfect marriage between vintage copper handles and tiny 2 inch air plants. I screwed the drawer pulls directly onto the chalk board and slid the plants right in to their cozy new homes. Every few days I spray the plants with some water and they are happy! Another project added to my own list of vintage revivals.